and the problem will grow far worse in coming decades, scientists reported Monday. Those emissions, primarily from the burning of fossil fuels, are causing the ocean to rise at the fastest rate since at least the founding of ancient Rome, the scientists said. They added that in the absence of human emissions, the ocean surface would be rising less rapidly and might even be falling. 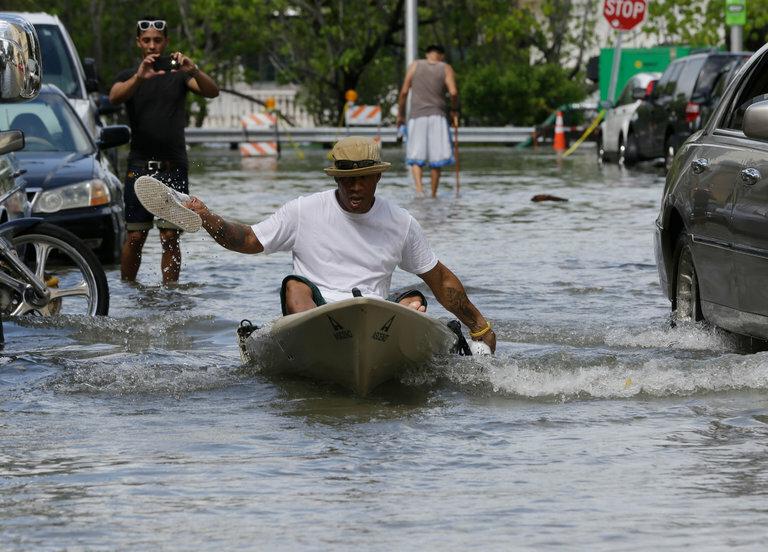 The increasingly routine tidal flooding is making life miserable in places like Miami Beach; Charleston, S.C.; and Norfolk, Va., even on sunny days. 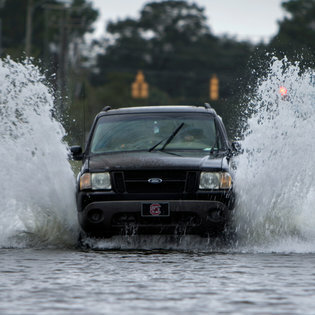 Though these types of floods often produce only a foot or two of standing saltwater, they are straining life in many towns by killing lawns and trees, blocking neighborhood streets and clogging storm drains, polluting supplies of freshwater and sometimes stranding entire island communities for hours by overtopping the roads that tie them to the mainland. Such events are just an early harbinger of the coming damage, the new research suggests. … scientists … also confirmed previous forecasts that if emissions were to continue at a high rate over the next few decades, the ocean could rise as much as three or four feet by 2100. Experts say the situation would then grow far worse in the 22nd century and beyond, likely requiring the abandonment of many coastal cities. Correct me if I am wrong, but in the past 5 years, in the past 50 years, even offhand in the past 500 years (? ), has the sea level in any of those places risen by even one inch, by even one centimeter? To the Gray Lady's February article, of course, we must add John Raphael's recent Nature World News report on another study, one that finds that Antarctic Sea Ice Continues to Expand Despite Global Warming. Does part of the opening sentence contain the kicker? That must be the first time that I read the expressions global warming and climate change in the same sentence. I thought the second was supposed to replace the first. But no, it turns out that the one (global warming) is caused by the other (climate change). You might be forgiven for thinking that the leftists' main object is to confuse us.